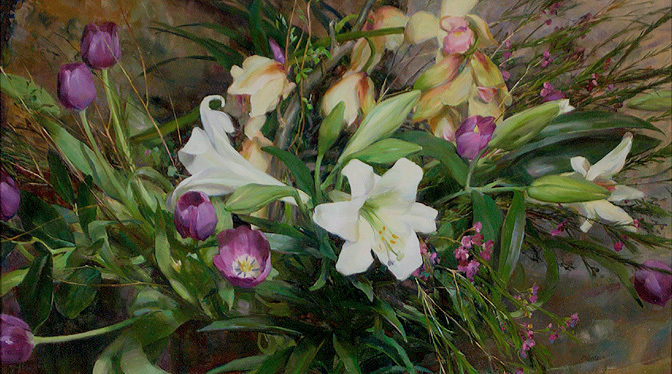 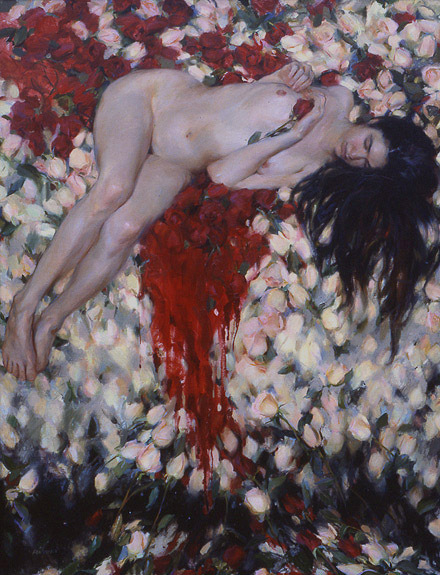 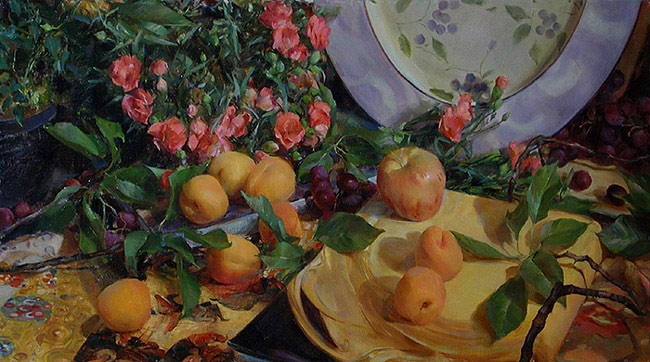 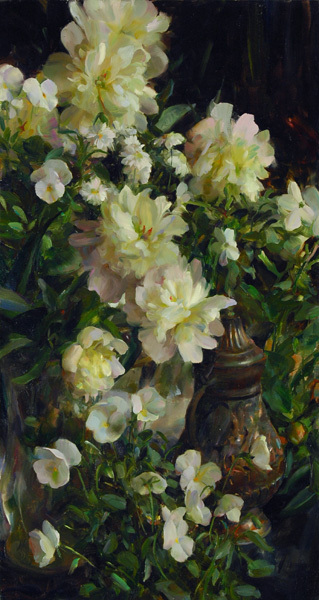 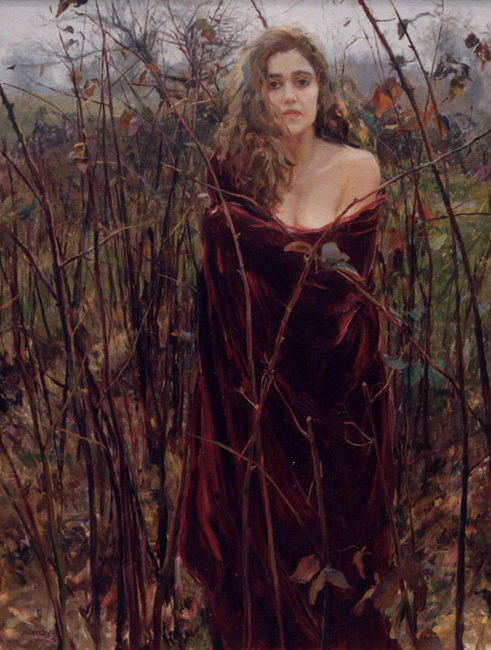 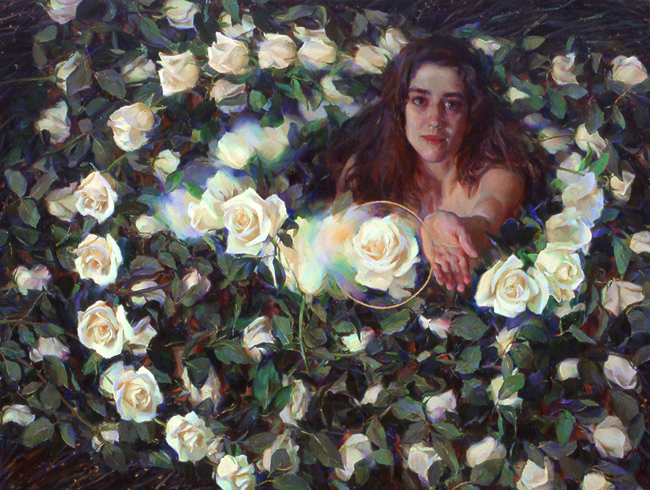 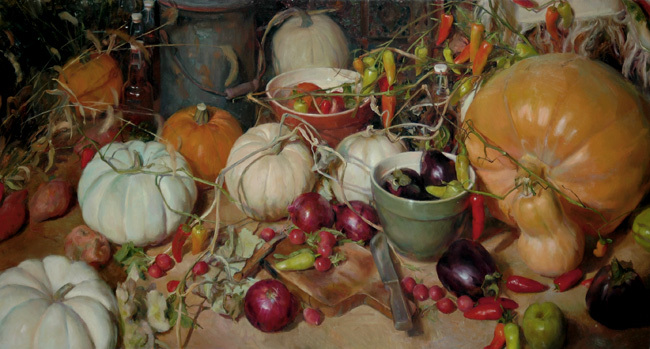 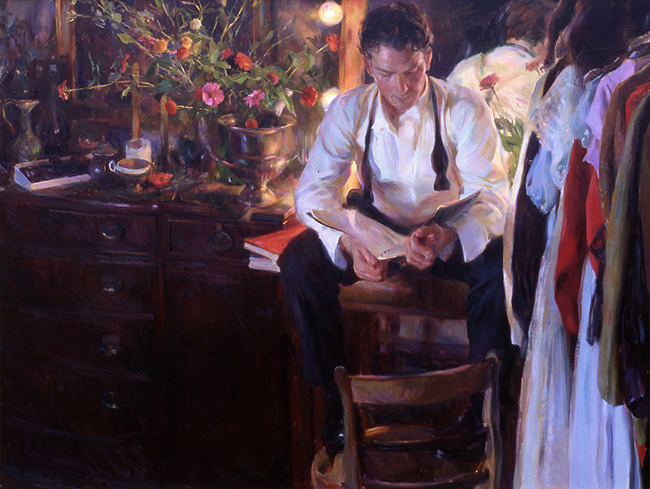 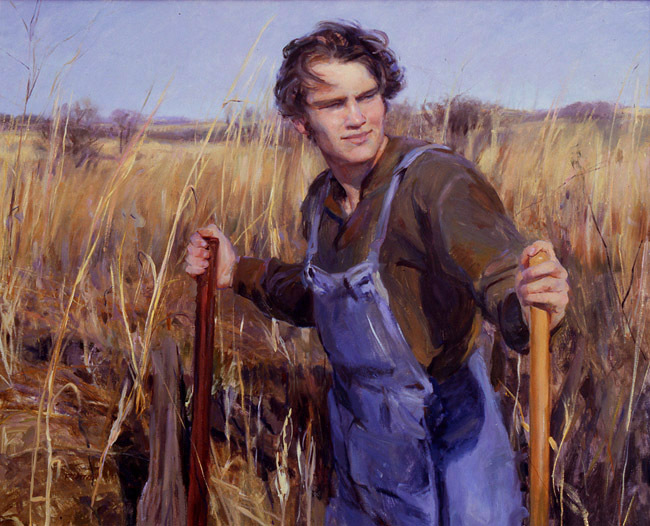 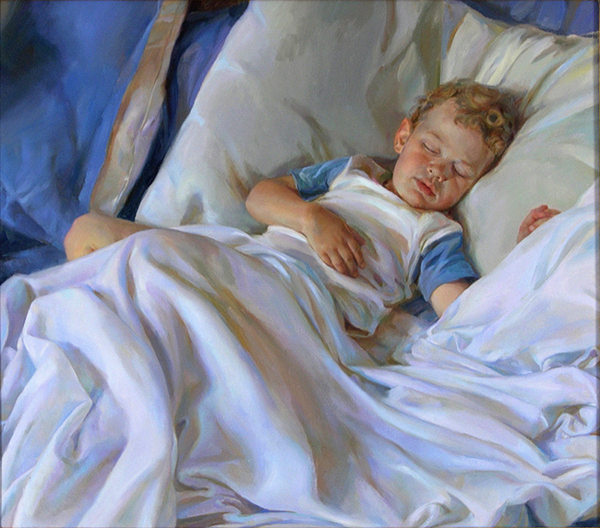 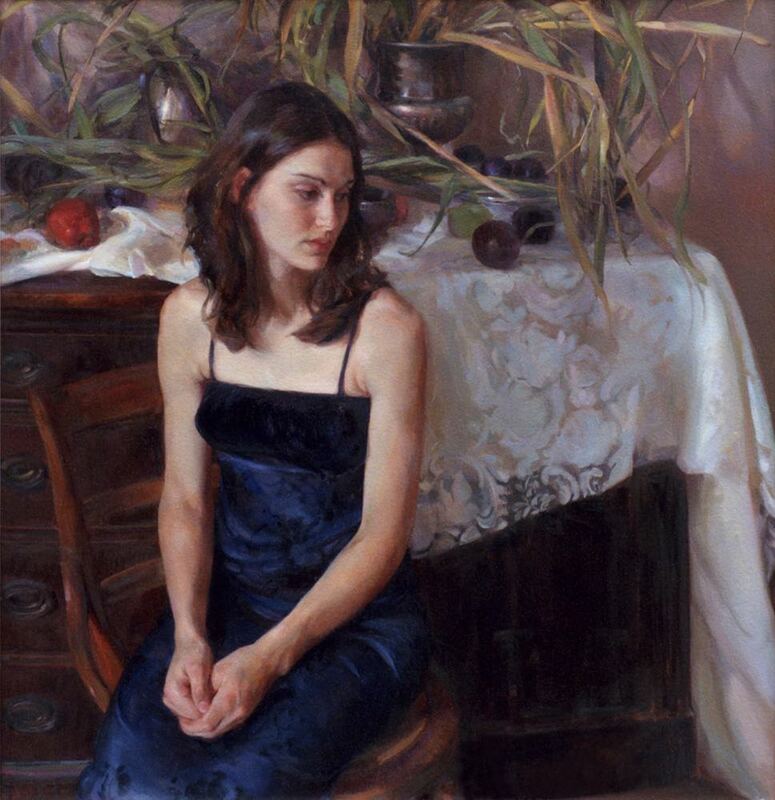 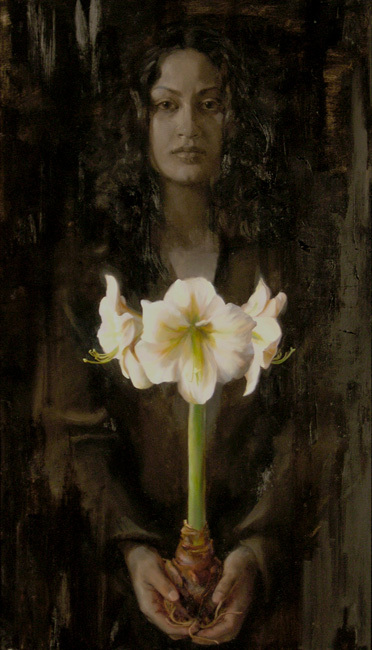 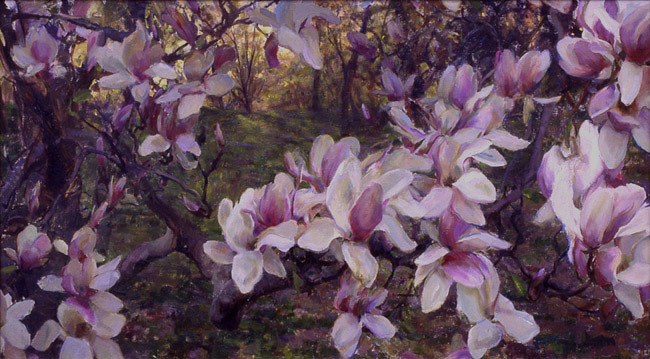 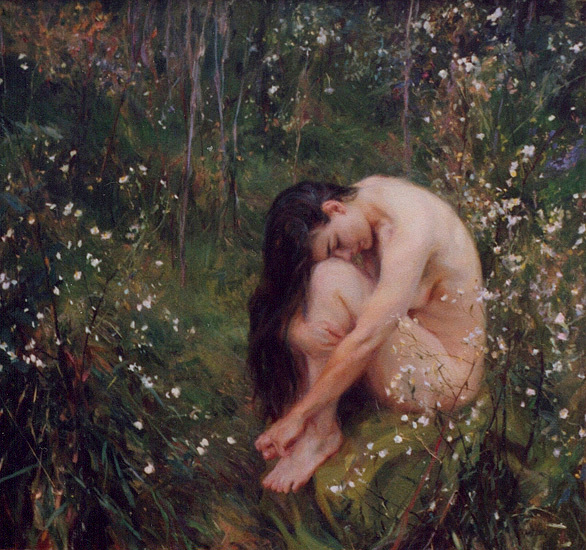 Born and raised in Maquoketa, Iowa, Rose Frantzen attended the American Academy of Art in Chicago. 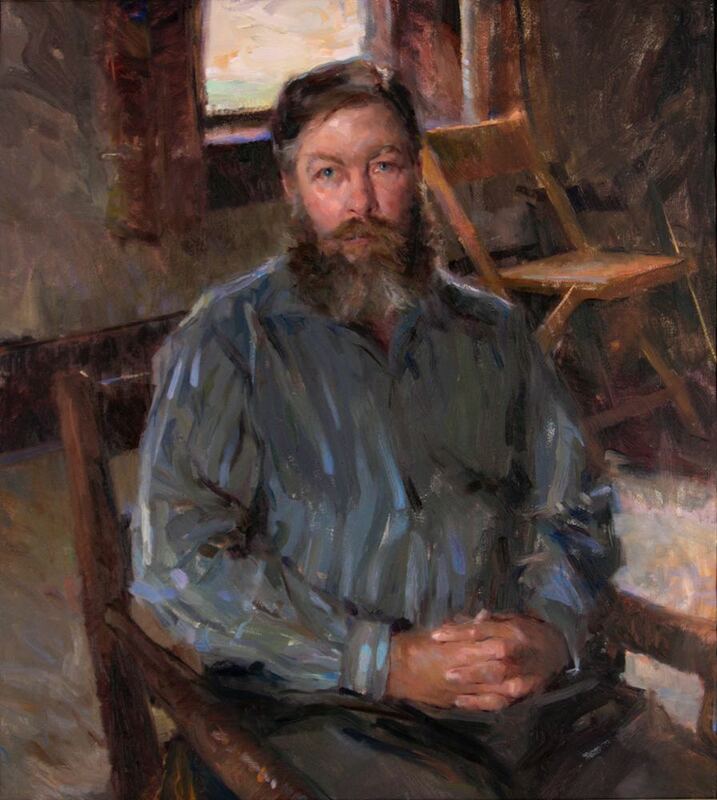 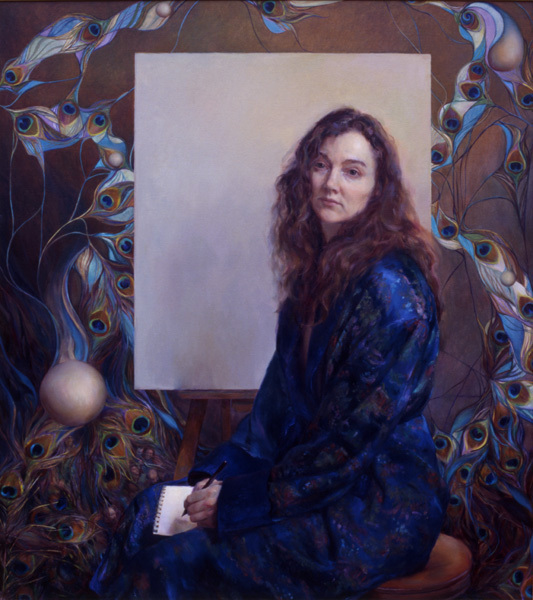 While making a living through art fairs and portrait commissions, Rose stayed in Chicago and further pursued her study of painting at the Palette & Chisel Academy. 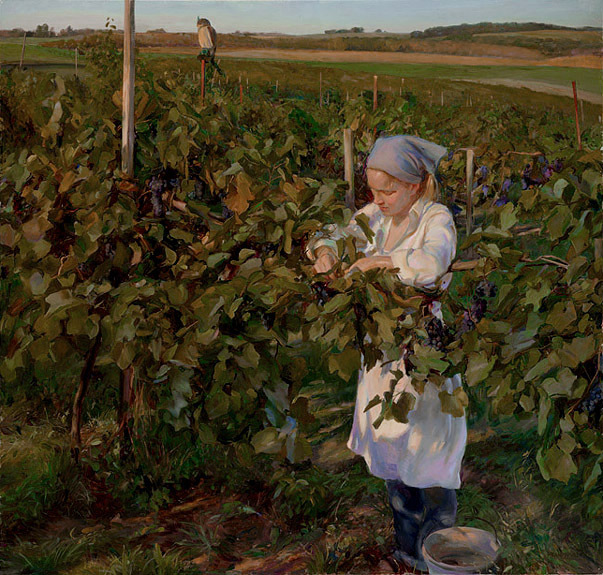 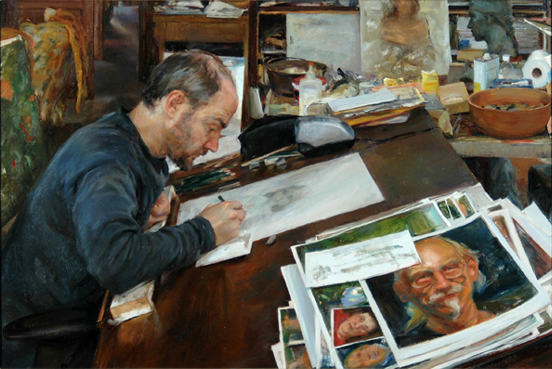 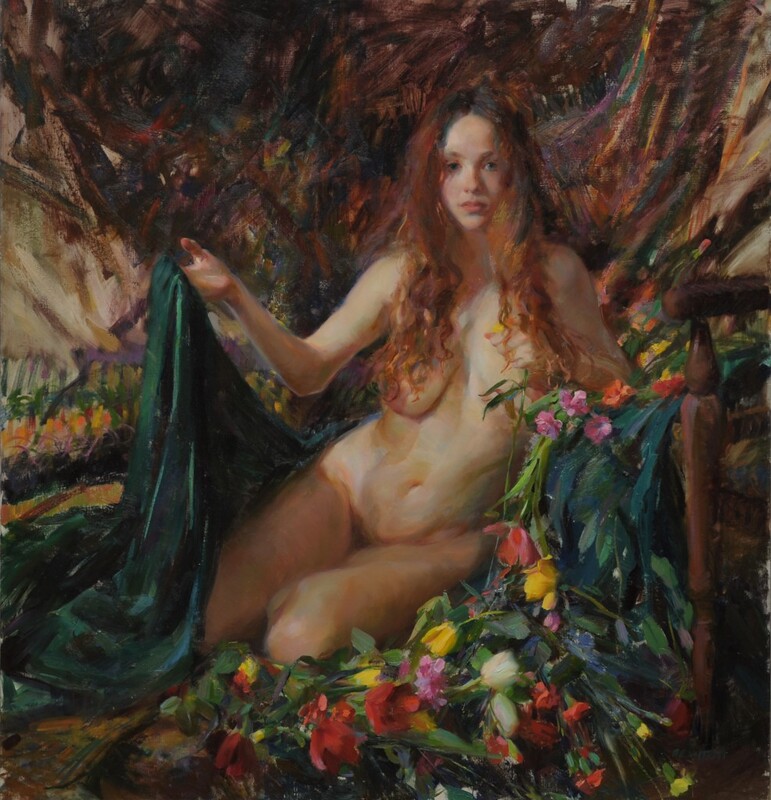 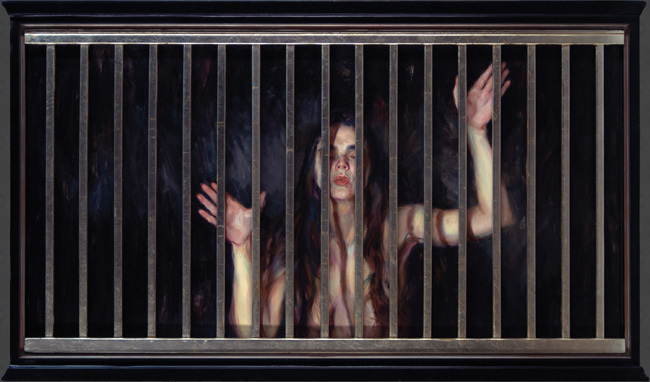 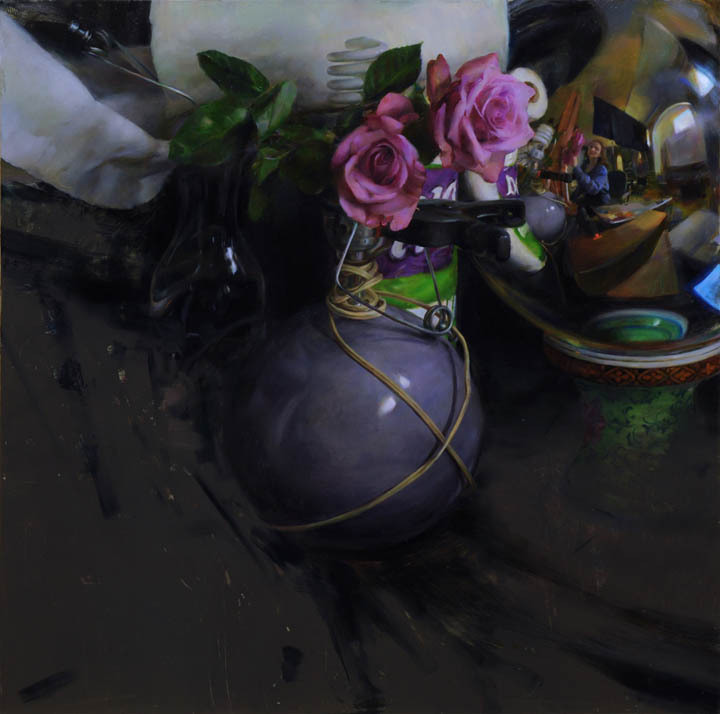 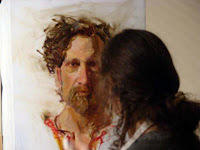 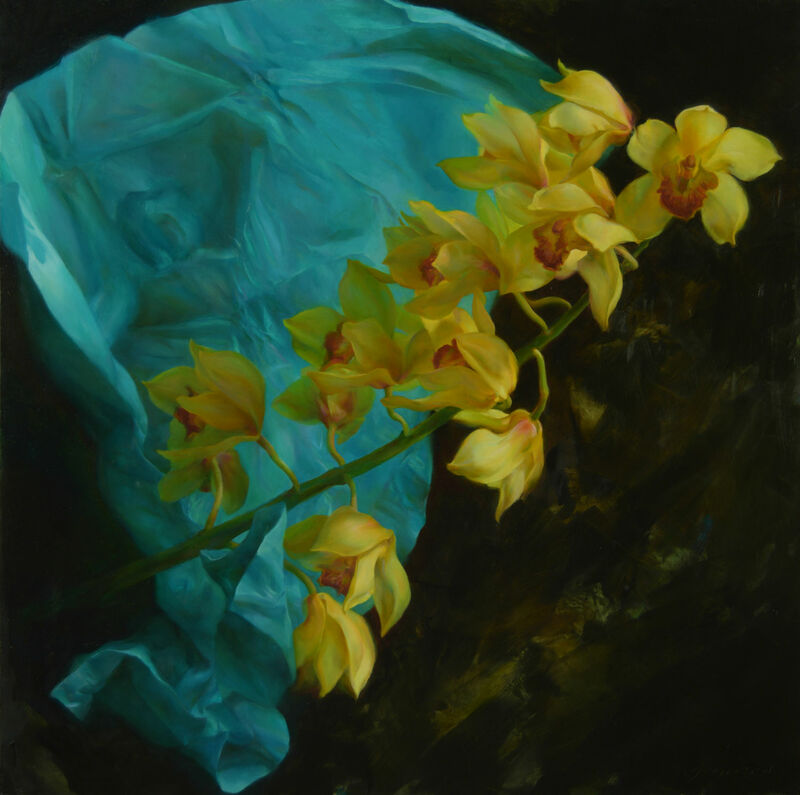 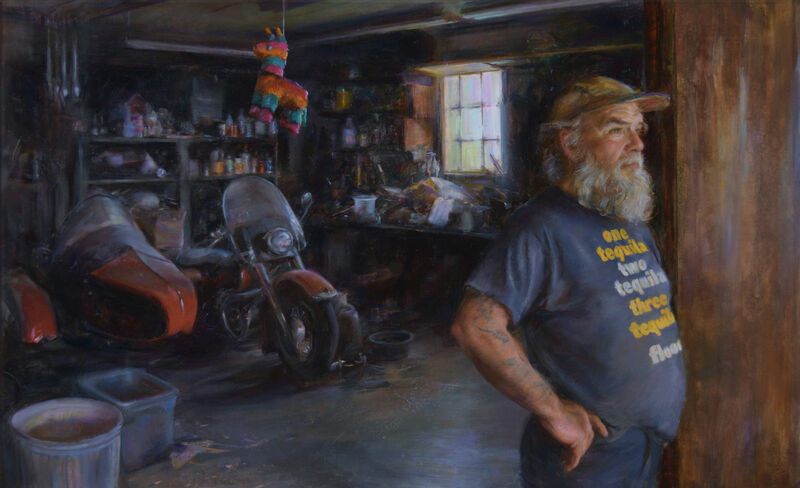 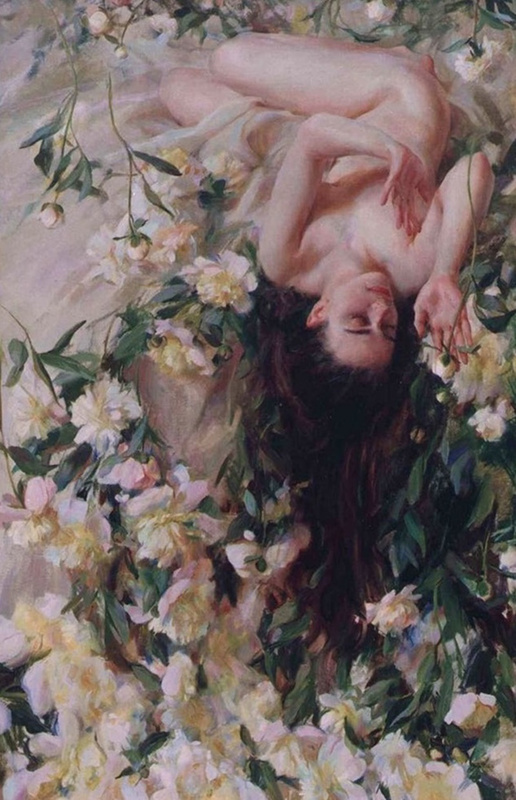 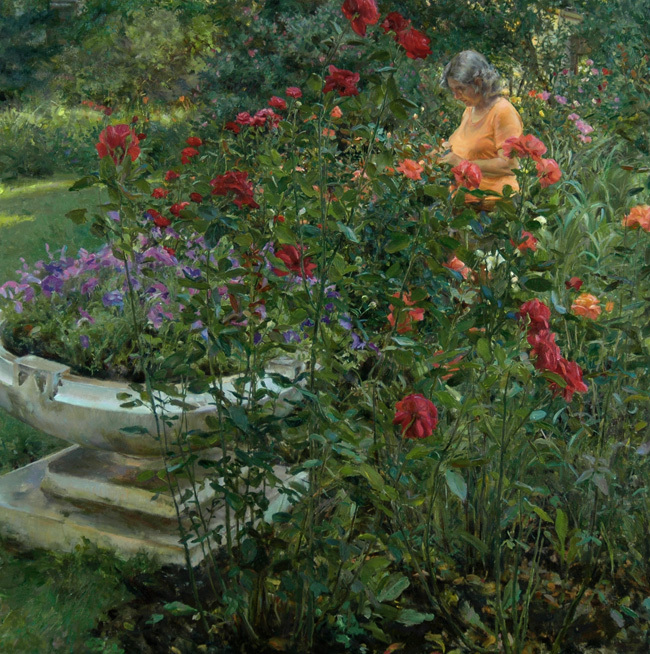 For a year and a half she worked under the mentorship of Richard Schmid, gaining first hand knowledge of the representational approach that Schmid presents in his influential book, “Alla Prima”. 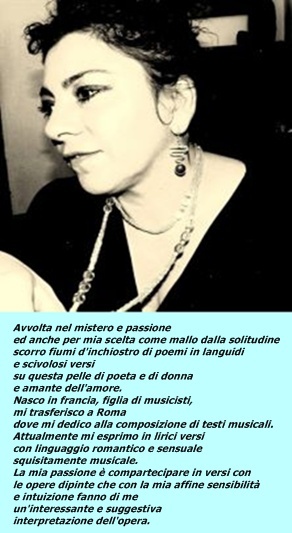 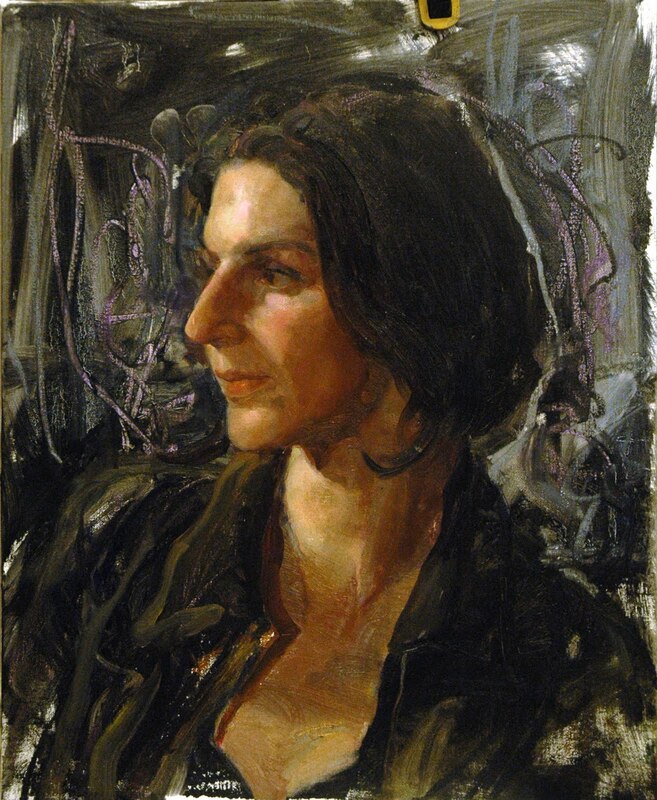 In 1993, Rose continued her education with a semester of anatomy and sculpture at the Lyme Academy of Fine Arts in Old Lyme, Connecticut. 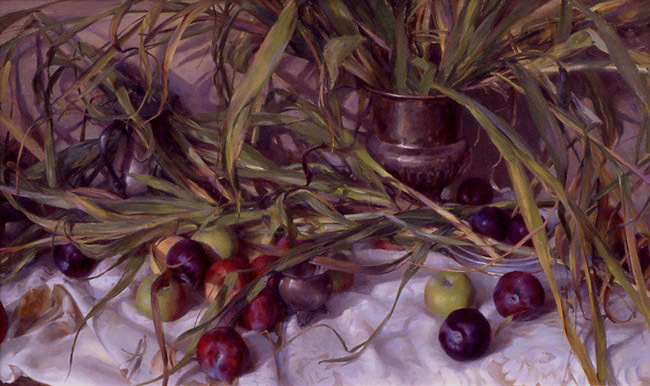 In the early 90’s, Rose traveled extensively, taking painting tours of Australia, Mexico, Guatemala, Russia, and throughout Europe. 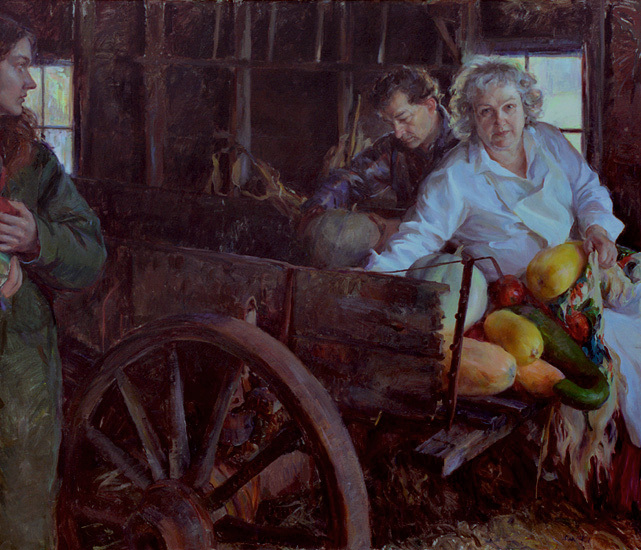 Her paintings of people and places in the U.S. and abroad went to galleries in Arizona, Colorado, Oklahoma, Illinois, Utah, and California. 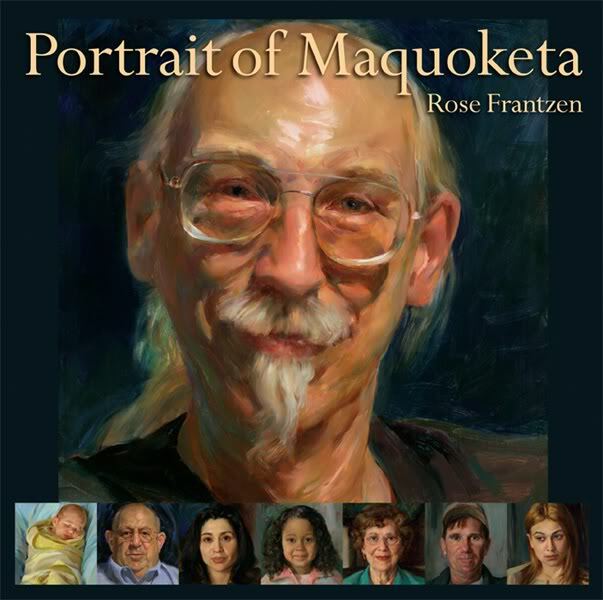 In 1991, with her parents, Rose purchased the former city hall in Maquoketa, opening Old City Hall Gallery on the first floor, using the second floor council chambers as a studio. 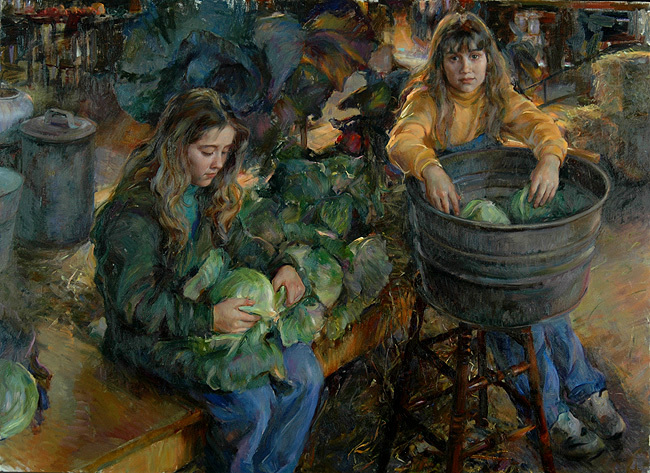 She began to focus on paintings of small town and rural Iowa, painting subjects from life in the studio, around town, and in the surrounding countryside. 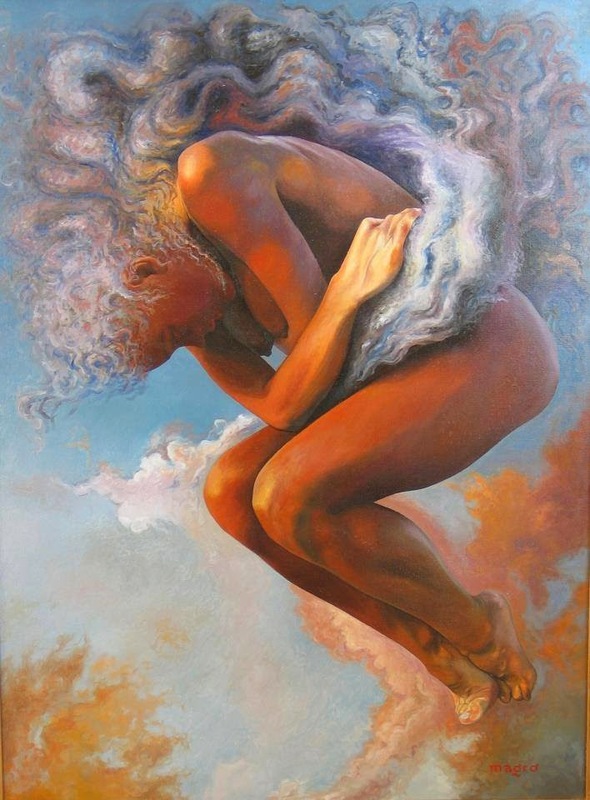 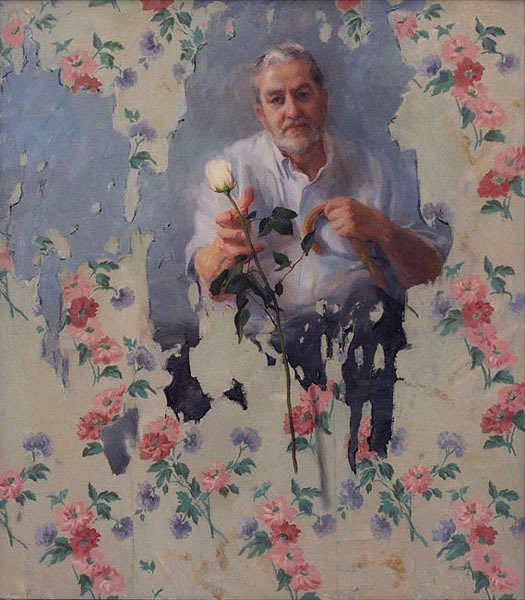 Over time, Rose’s paintings have taken on an allegorical quality in which an abstract or surreal setting presents the subject as an archetypal character seen on his or her own internal stage. 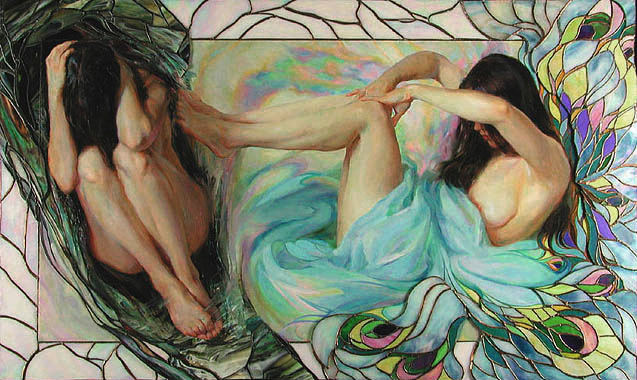 For these multi-dimensional works, she incorporates diverse stylistic elements along with gilding, stained glass, and mosaic. 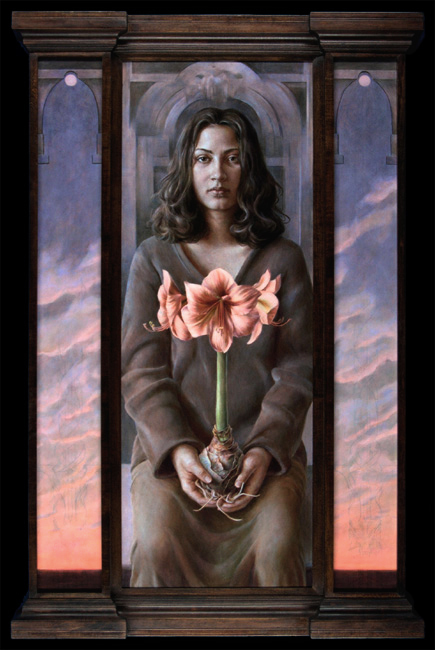 All of her paintings are presented in handcrafted frames that play an integral part in the piece. 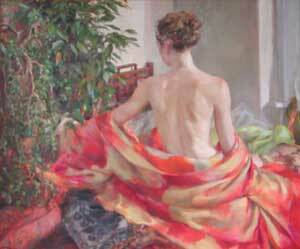 In 2003, Rose married artist/inventor Charles Morris whose work is also shown at Old City Hall Gallery. 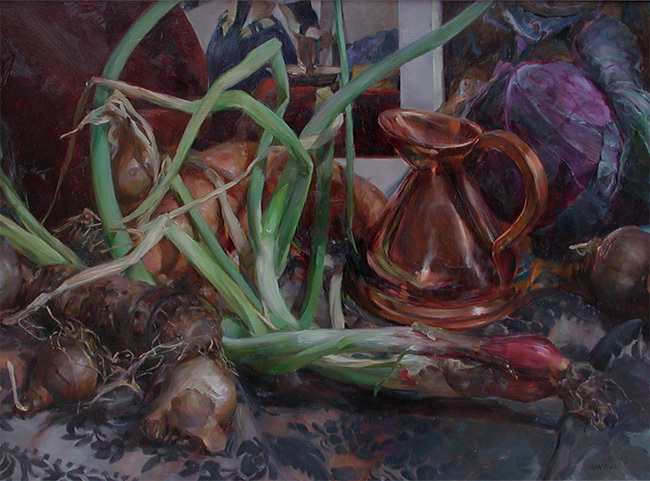 Rose began teaching workshops at the Palette & Chisel in 2006 and in her own studio in Maquoketa in 2007. 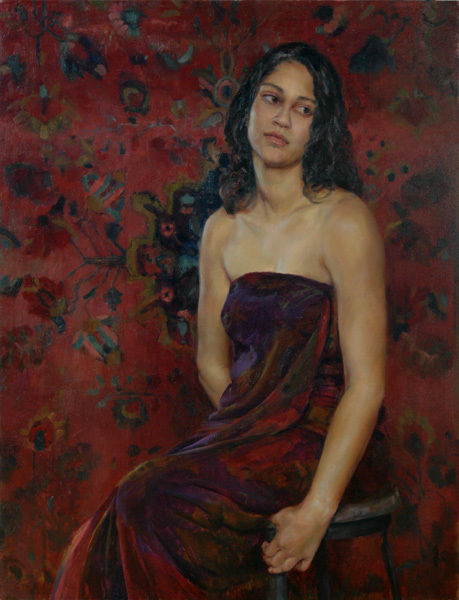 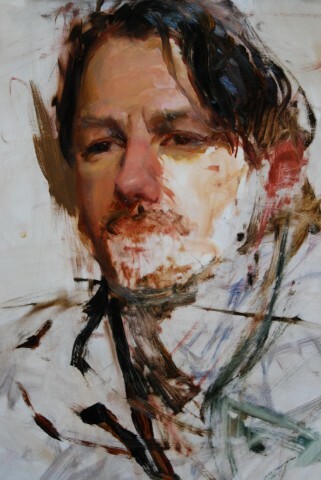 Upcoming workshops will bring her to both the Scottsdale Artist School and the Portrait Society of America. 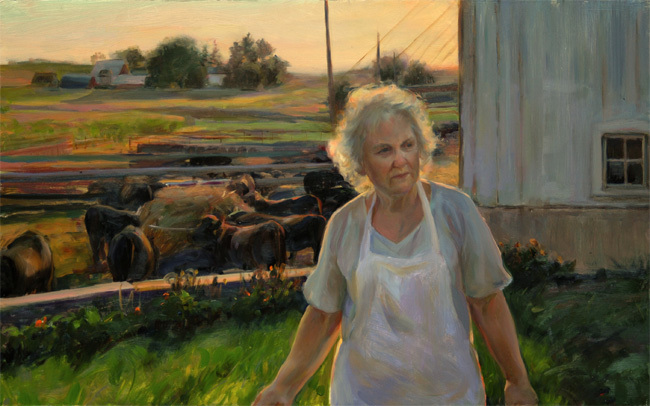 With a grant from the Iowa Arts Council, Rose recently completed a community-oriented project featuring 180 paintings of residents of her home town titled “Portrait of Maquoketa”. 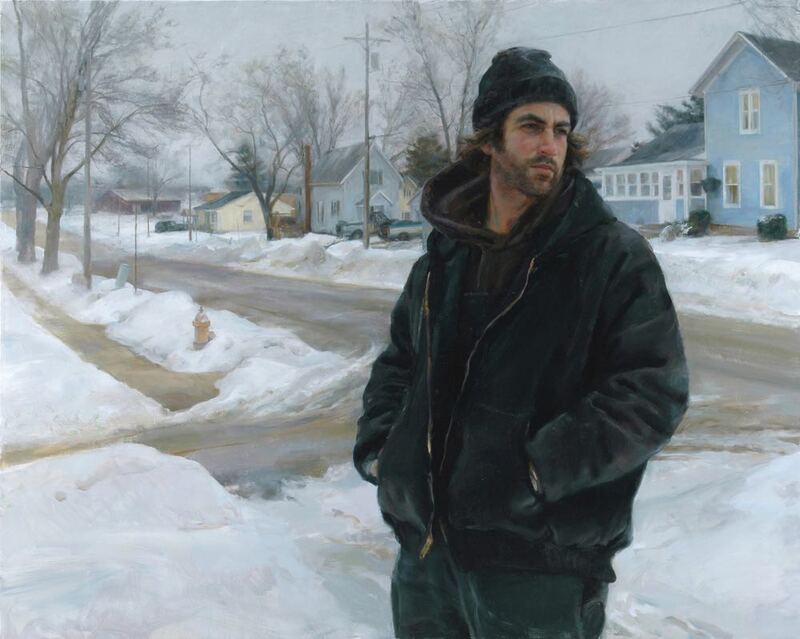 From November 6, 2009 through July 5, 2010, "Portrait of Maquoketa" will be shown at the Smithsonian National Portrait Gallery in Washington, DC. 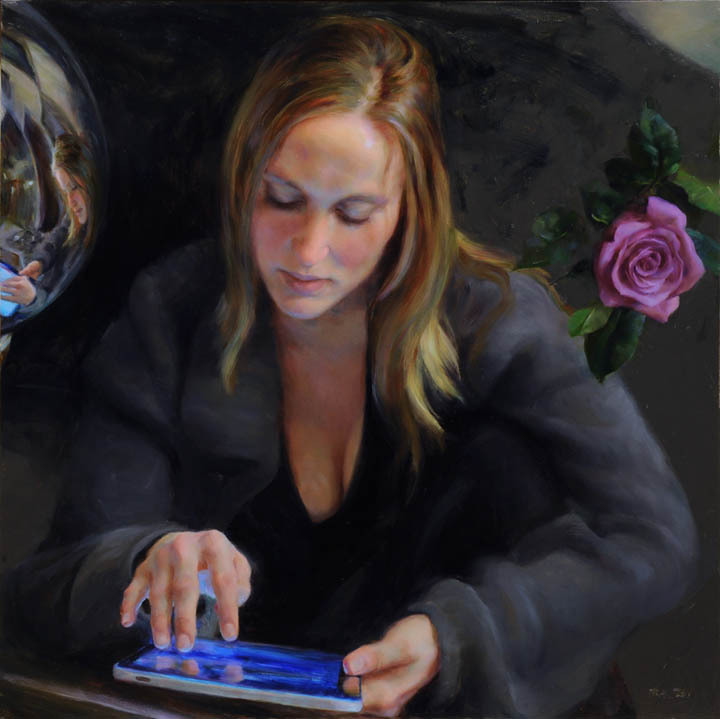 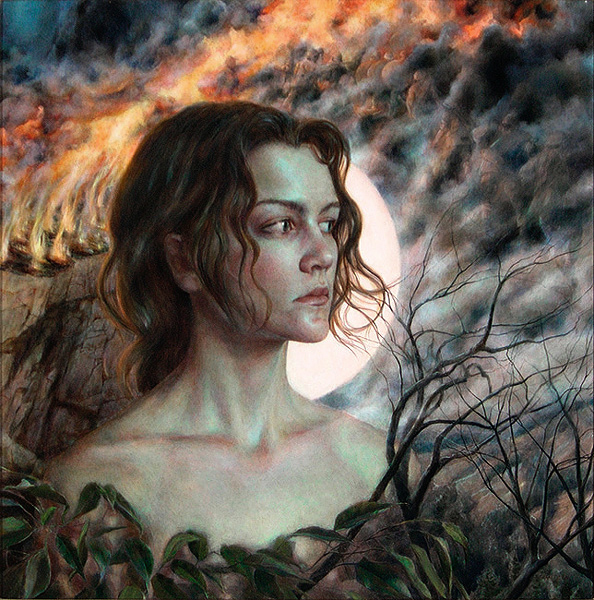 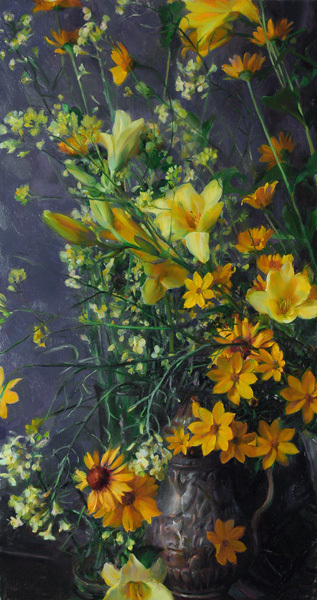 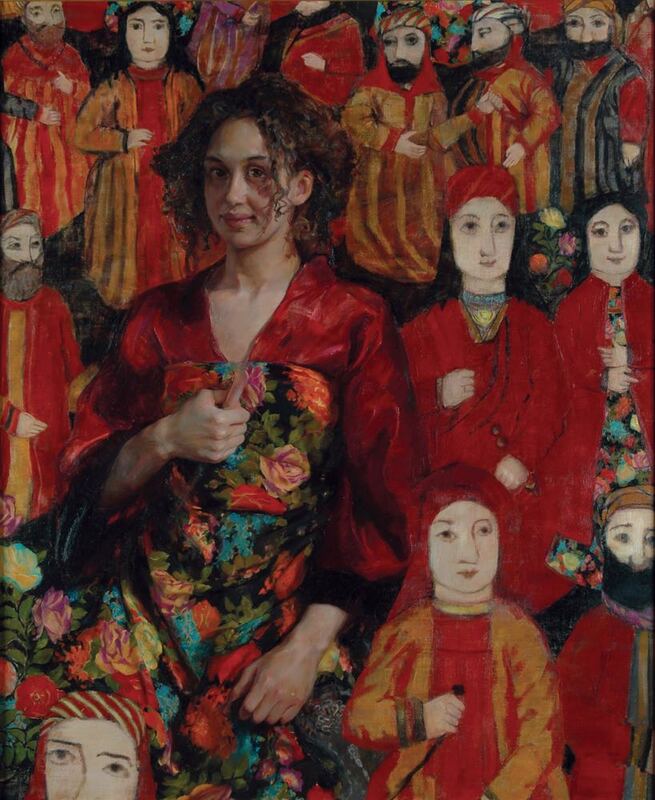 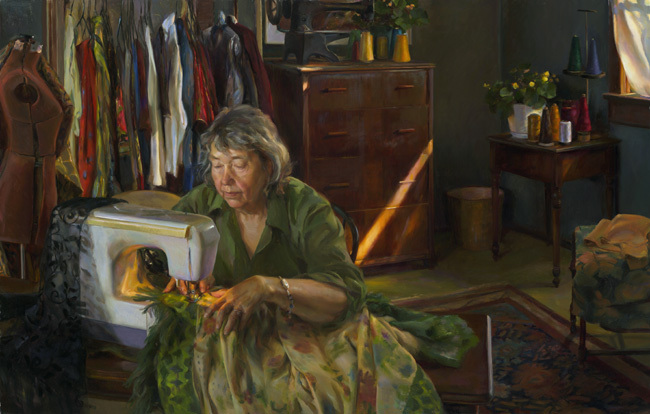 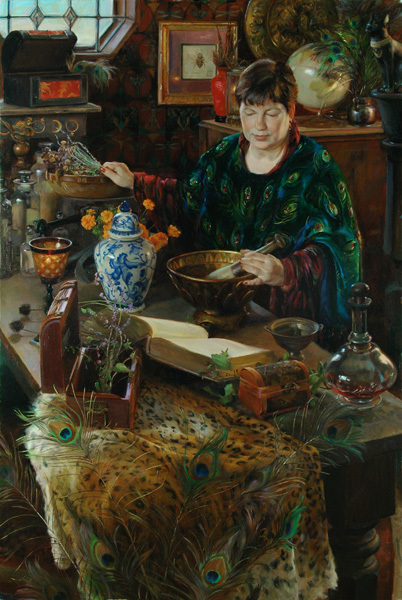 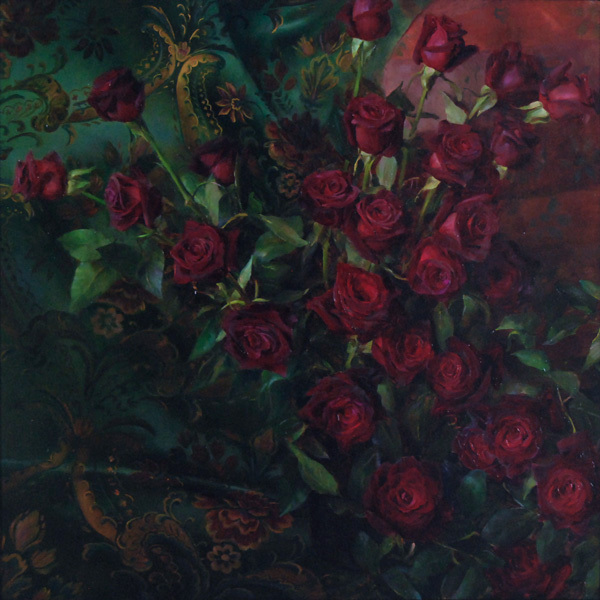 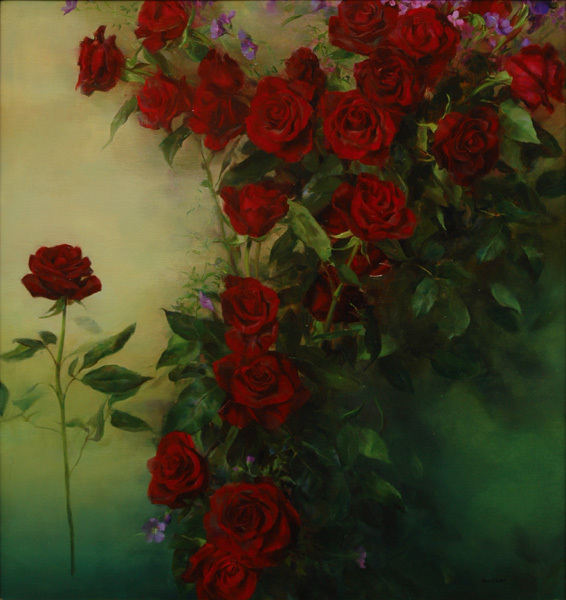 Rose’s work has been featured in US Art Magazine, ArtTalk Southwest Art, Workshop Magazine, International Artist, and Portrait Signature, the journal of the American Society of Portrait Artists.